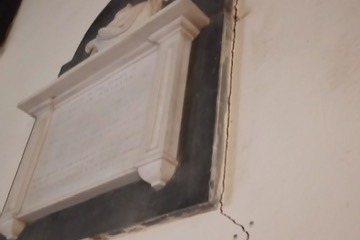 Fundraiser by Dawn Howell : Save Baydon St Nicholas Church - Urgent! Save Baydon St Nicholas Church - Urgent! Baydon is a quaint village, perched on top of a hill, close to the famous ancient Ridgeway trail. We have a strong sense of community, which allows us to work together whenever we have a problem. Our beautiful 12th century church is at crisis point! It's very existence is threatened. 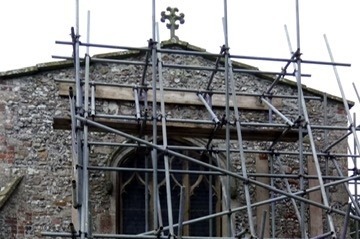 Intensive scaffolding is now in place to brace the North and East chancel walls. Imminent collapse threatens many historical, and architectural features, including the wonderful stained glass windows. 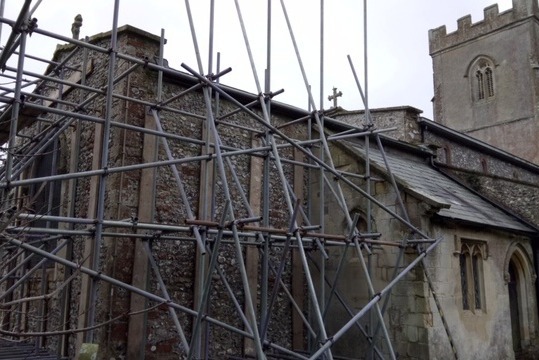 We await reports from architects and structural engineers, to advise on the true extent of the problem, and the cost of the major repair, currently estimated at £50,000 plus! 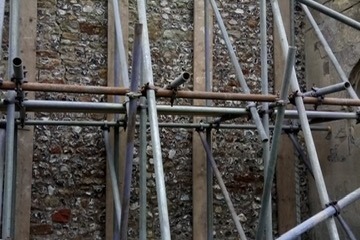 We then have the further cost of repairing the smaller cracks, and shoring up the building to ensure it's future safety. Baydon is a small village with a small population. There simply are not enough of us to raise this kind of money. There are grants we can apply for, but these take time, and time is something we have not got. We are pleading for you to help save our beautiful little Church, and warmly invite you to come and see it for yourselves. A member of our team will be available to show you around. More photos of our poor church!